Review | "The Great Flood"
Director Bill Morrison, whose previous works include Decasia and The Miners' Hymns, has proven himself exceedingly adept at assembling pieces of found footage into new and compelling works of art. You'll find no talking heads here, no dialogue or narration, just a series of haunting, grainy images culled from actual footage of the Great Mississippi River Flood of 1927, which covered 27,000 square miles, displacing thousands of citizens from up and down the United States. This displacement led to a mass exodus of rural sharecroppers into cities like Chicago, many of them African American, leading to the eventual creation of jazz, forever altering the American cultural landscape. Bill Frisell's jazz-infused score pays tribute to the musical idiom that was borne out of this immense disaster, but it often feels anachronistic to the images onscreen, even if it is thematically appropriate. It doesn't quite have the same emotional power as Johann Johannson's magnificent work for The Miners' Hymns. However, Morrison makes great use of the marriage of silent images and music, creating a kind of mesmerizing tapestry of striking moments and unforgettable imagery. The damage to the original film prints lends a kind of avant-garde visual poetry to the film, not unlike Morrison's own Decasia, which showcased the strange beauty of film decay. Morrison weaves a distinctly American narrative, creating a clear timeline from the beginning of the flood, to the visits by politicians, to the eventual migration away from the deltas. People are swept away on top of motorcars by raging waters, people and dogs are stranded on roofs, and Herbert Hoover himself, not yet president, comes to survey the damage. But from all this destruction comes something distinctly beautiful, the birth of one of the most truly American forms of music. 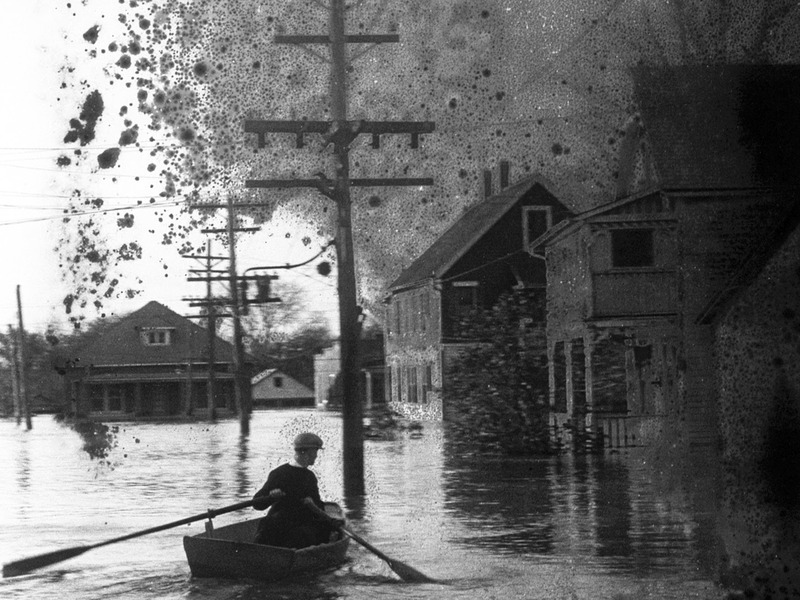 The Great Flood has a remarkably keen sense of time and place, and Morrison immerses us in a world that feels remarkably similar to our own, even through 87 years of film dirt and grain. It's an evocative and beautiful work made with Morrison's distinct and unique voice. It is both an elegy for a forgotten time and a celebration of the life that sprang from the darkness. It is an event few are familiar with, and while Morrison's aims are more sensory than educational, the end result is something singularly enthralling. 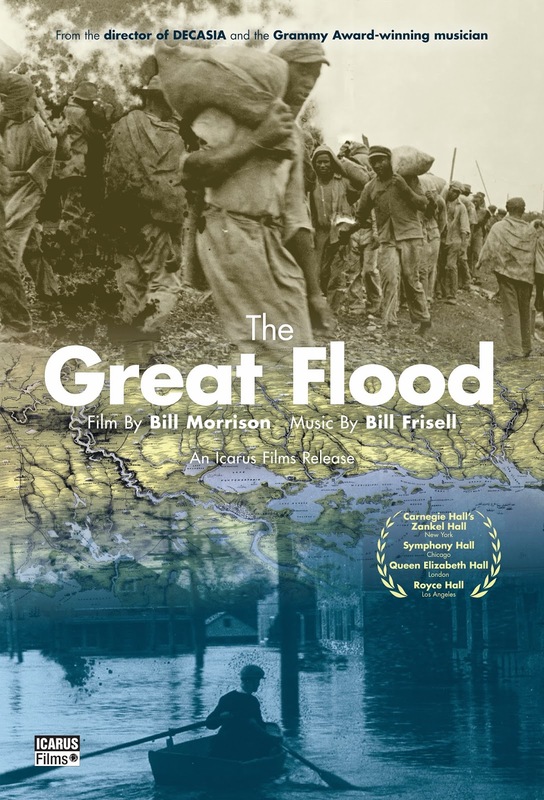 THE GREAT FLOOD | Directed by Bill Morrison | Opens today, 1/8, at the IFC Center in NYC. Review | "Like Father, Like Son"